Kay Lyn Williamson, the woman who was arrested for allegedly setting fire to four Fairbanks Coffee Carts last spring, was deemed mentally incompetent to stand trial back in July, court records recently obtained by the UCSD Guardian show. Charged with four felony counts of “arson of a structure or forest” and four felony counts of “arson of property,” Williamson initially pleaded not guilty on April 20 but was sentenced to a mental competency evaluation, which was completed on June 22. Although the records do not disclose the nature of her mental health issues, they state that San Diego County Superior Court Judge Margie Woods sentenced Williamson to a maximum three-year stay at Patton State Hospital and authorized physicians to administer Williamson antipsychotic medications without her consent if they are prescribed by her psychiatrist. Deputy District Attorney Kyle Sutterley, who is a prosecutor on Williamson’s case, explained to the Guardian that should Williamson be deemed mentally competent at any point during her court-ordered psychiatric treatment, criminal proceedings will resume. 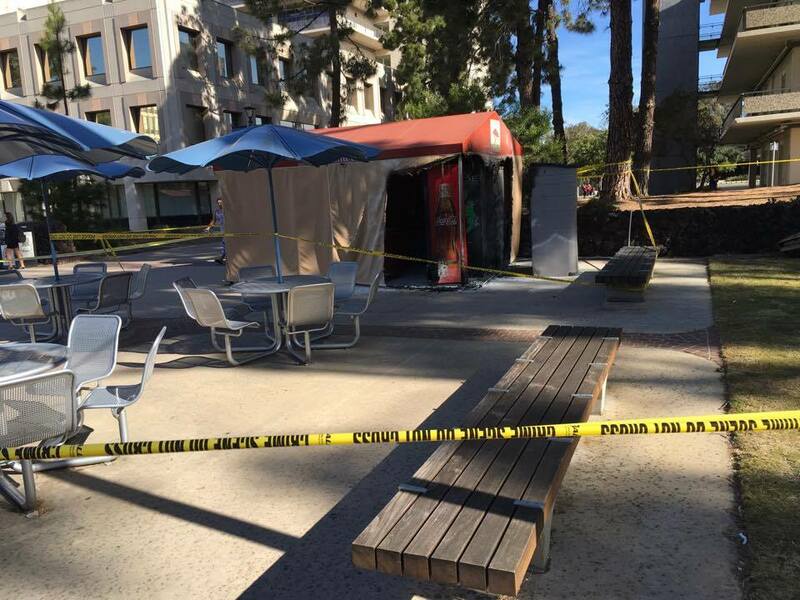 According to statements released by the UC San Diego Police Department at the time of the incident, Williamson supposedly set fire to four Fairbanks Coffee carts located at the Social Sciences Building, Warren Lecture Hall, Revelle Plaza, and Center Hall during a 40-minute time frame starting shortly before midnight on April 16. The total damage was estimated at approximately $30,000. Based on his knowledge of the case, Sutterley agrees with the doctor’s determination of Williamson’s mental incompetency. The Guardian reached out to Williamson’s attorney from the Public Defender’s Office, but he did not respond by the time this article was published.